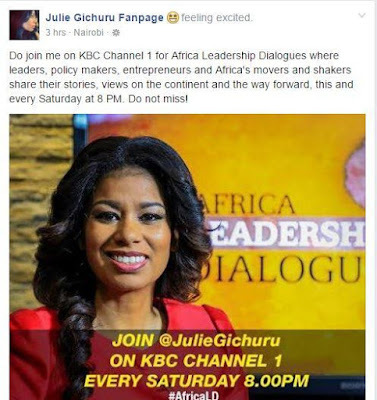 Former Citizen TV news anchor Julie Gichuru back on air but not in Citizen TV. Barely 5 months after she quit hosting the popular Sunday Live program on Citizen TV, media personality, Julie Gichuru has moved to the national broadcaster, KBC Channel 1, where her informative program Africa Leadership Dialogues, will be airing. Through her official Facebook page, the former News anchor announced that her show will be airing every Saturday at 8pm adding that it will continue to give successful entrepreneurs, leaders and policy makers in Africa an opportunity to express themselves. 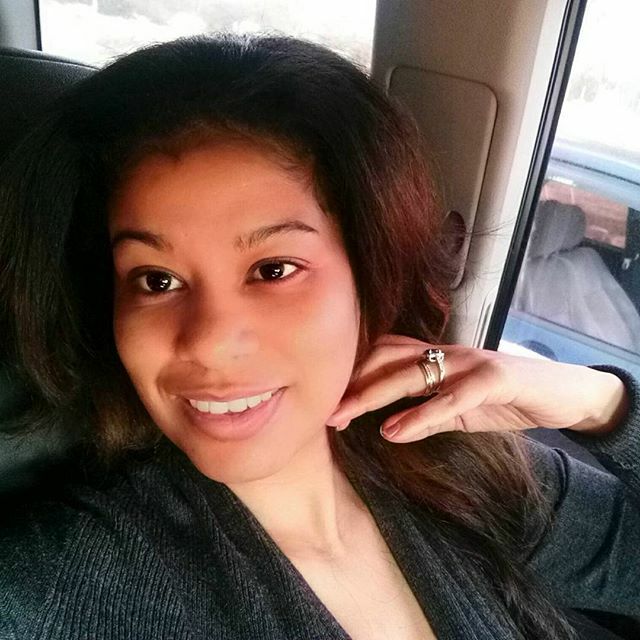 Ms Gichuru, who was appointed to the Brand Kenya Parastatal board by President Uhuru Kenyatta, quit anchoring at Citizen TV in October to run her media company, Arimas Media. It is however not clear whether she has officially cut ties with her former employer now that her program will be airing on KBC.